So, I was on my way home from work and real hungry. 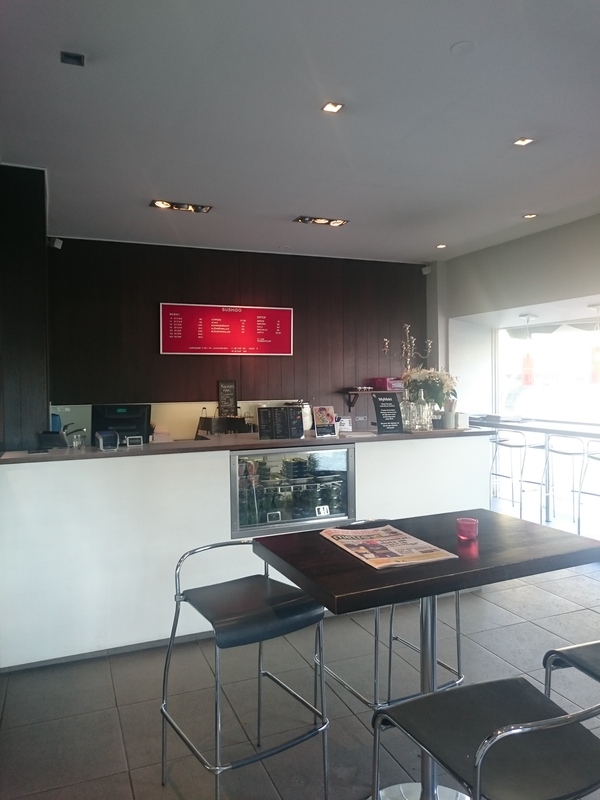 On my way home I passed by a Sushi place that I never visited before and even though Latte Mum wasn’t with me I decided to do a blog review fly-by. Walking in to the place looks real nice and as I want my Edamame beans and Miso soup hot I decided to sit down and eat my food rather than take-away. 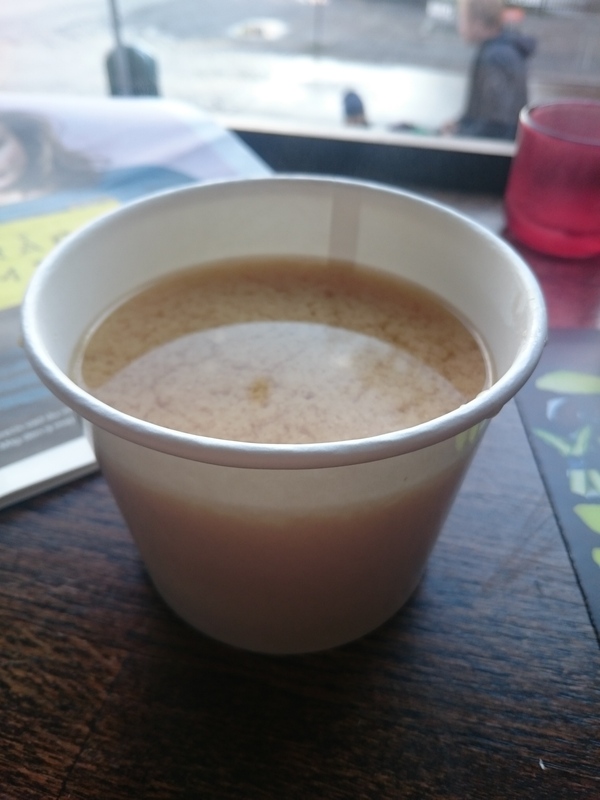 After a rather long wait even though I was pretty much by myself in there I received a healthy serving of a nice tasting Miso soup (in a take-away cup). 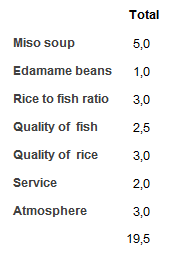 Unfortunately the Miso soup was the best item of my meal. 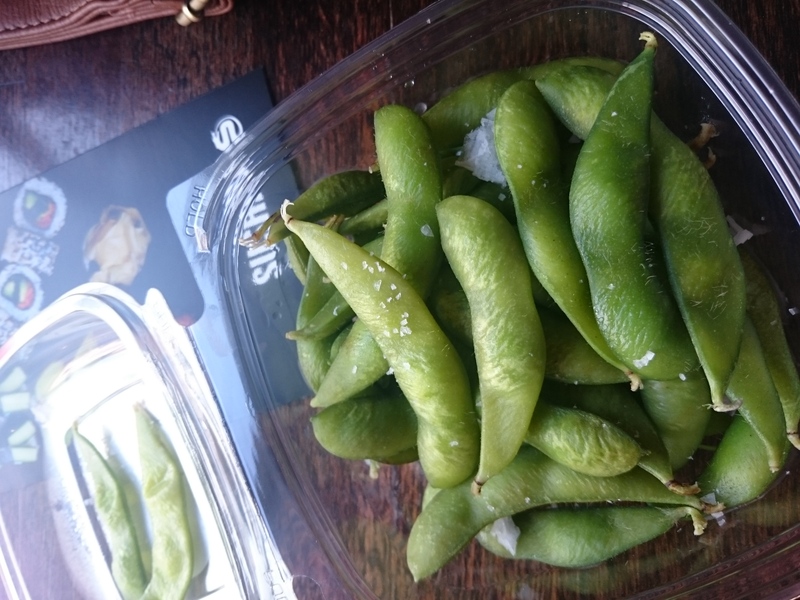 The place is apparently niched towards take-away as I received everything in plastic containers even though I was eating in, that includes a very cold serving of Edamame beans, to my great disappointment as hot ones was one of my main reasons for sitting in. 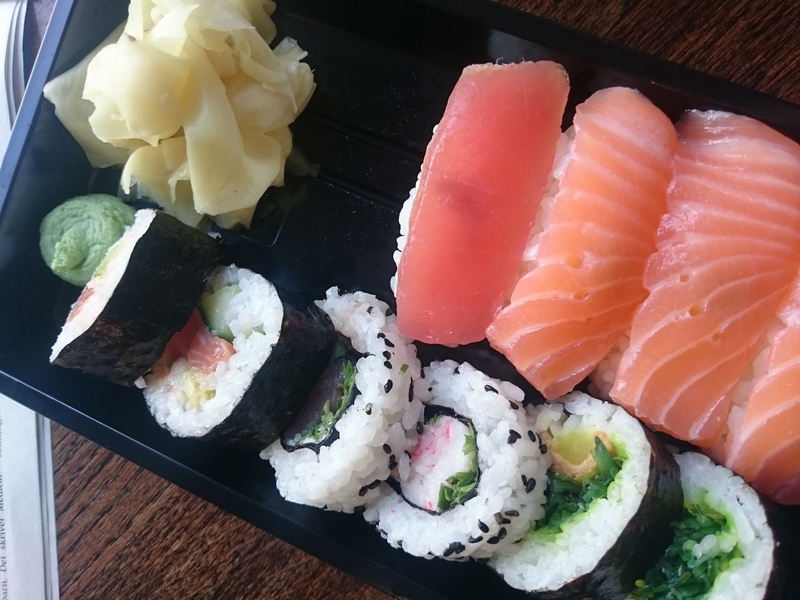 It also made me wonder why it took so long before I received my meal, it turned out that it was already made behind the counter and in order to cater for my special request (I pretty much only eat Salmon and Tuna in my sushi) she took some out of one plastic box and replaced with some from another plastic box, mmmm tempting. The rice was falling to pieces making it real hard to eat, and even though she changed the Nigiri based on my request I made the mistake of not looking at the Maki that properly before eating. Looking at the picture above it’s pretty clear that she didn’t bother to exchange them, I didn’t notice before I put it in my mouth. All in all, I wasn’t that impressed and I doubt that Latte Mum will be upset at me for doing my own session, she didn’t have to waste money on not that fantastic sushi. Still it wasn’t as bad as some of the others we tried this far as it made it all the way into a silver position (for now), you can see the standings here. Next Post Day seven, eight, nine and ten – the return of the workaholic?